AOP is proud to announce the publishing of the first scientific paper on LUCS cell technology. 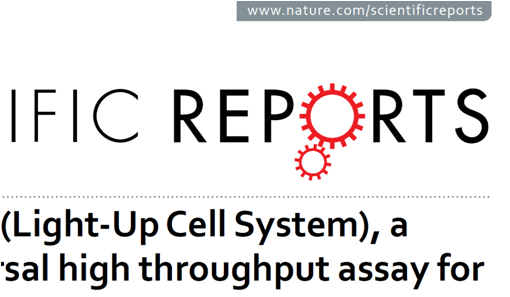 Results unveiling the intimate intracellular mechanisms at work during LUCS process have been recently published by the well-renowned international Nature journal (Scientific Reports online edition) (https://www.nature.com/articles/s41598-017-18211-2.pdf). This closes four years of intensive research that allowed to establish the link between the fluorescent biosensor photo-induction and the consecutive ROS production within the live cell, leading to the demonstration of LUCS application as a specific antioxidant live cell assay. A new manuscript describing recent advances on LUCS approach including a comparative study with classical non-cell antioxidant assays (ORAC,…) is presently being drafted and will be submitted within a few weeks to the Antioxidant & Redox Signaling (ARS) American journal.